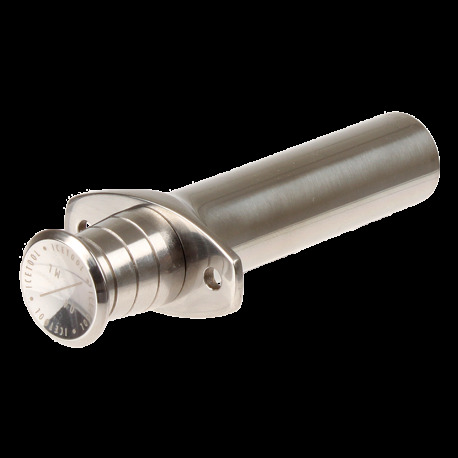 The original 4 ml Icetool - stainless steel design portioner tool for loose snus. An Icetool is like a metal syringe without the needle. It helps loose snus users to quickly and cleanly form and place a pinch (Pris) of snus of your preferred size under your lip. What can I say, this product does exactly what it was designed to do. Stainless steel design is top notch. Gives me perfect sized prillas Everytime..
First let me say that this device is extremely well made and screams high quality. It has a nice heft to it and feels like a premium product. I had no problems forming a pris the first time, but if you're used to normal sized portions, this may not be the right tool for you -- go with the 3 ml Icetool instead. I picked this one since it was in the middle, but I wish I had ordered the smaller one.